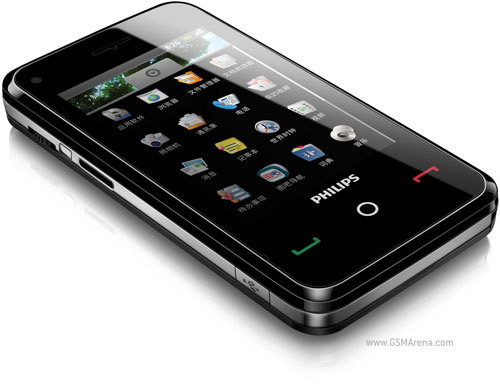 Philips is not a very famous mobile phone maker, but they have launched several phone models. also this is their 2nd full touchscreen phone. 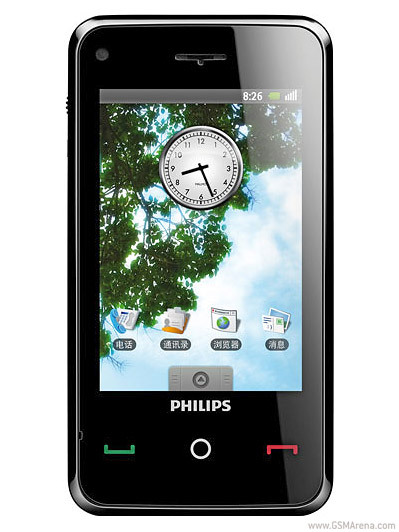 Philips V808 has a 3.2 inch touchscreen with an Accelerometer sensor. but unfortunately 3G is not available in this phone. also Philips V808 has 30MB internal memory and supports up to 8GB memory cards. also the very special thing is this phone runs with a Google Android-based OPhone OS. it has a 3.15MP camera which supports 2048x1536 pixels maximum picture resolution. Philips V808 has a GPS receiver with google maps. and it has a very good media player which supports many video formats. this is a very new Motorola phone but it's a very simple and cheap phone. Motorola WX180 has very necessary features only. it has a 1.5 inch colour display. also the design of this mobile phone is suitable for rough usage. keypad made with a flexible rubber material and keys are not separated. also Motorola WX180 has a 500 entries phone book and a good FM radio with RDS. the good thing of these simple phones is their battery life. Motorola WX180 has very good talk and standby time, you can use it even without charging for a week! Read More! BlackBerry Storm2 9520 with multi-touch announced!! BlackBerry Storm is a very popular phone in the market. 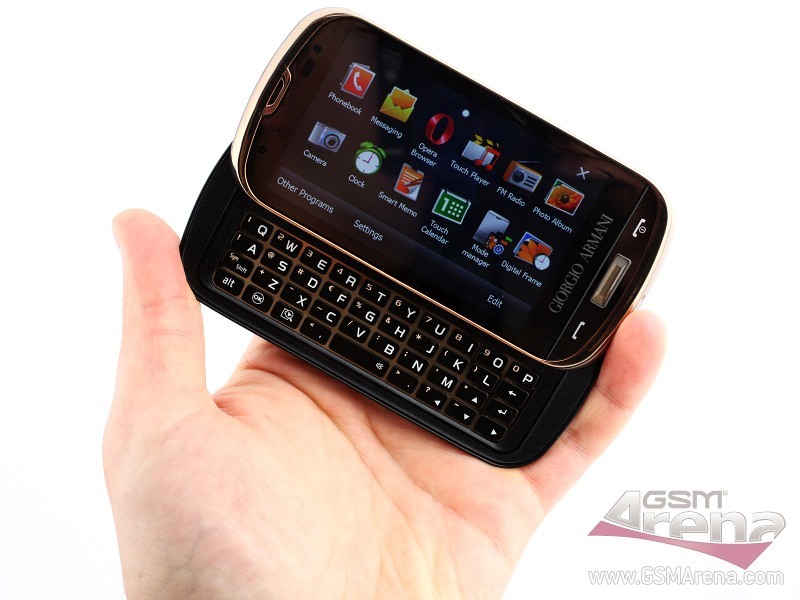 it is the one and only iphone type blackberry phone which has a full touchscreen. because of this success, blackberry has decided to make it's next phone, blackberry Storm2. 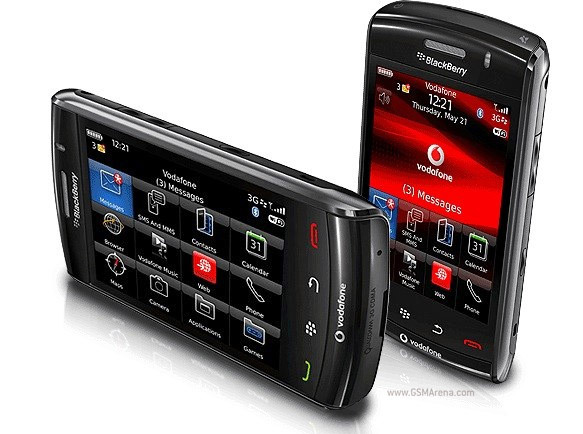 the main disadvantage of blackberry Storm was it has a resistive touchscreen. because of it's technology , this touch screen is less efficient and doesn't support multi-touch. but this new Storm2 has a 3.5 inch capacitive touchscreen with multi-touch support. it's very sensitive and efficient. also new storm 2 has a fast Accelerometer sensor. it has 2GB internal memory and supports up to 16GB memory cards. also Blackberry Storm2 has both bluetooth and wi-fi. and it has 7.2MBP/s HSDPA modem. the main camera of this phone is 3.15 and it comes with a LED flash. the camera application supports Geo-Tagging and image stabilization features. The new Storm2 has a GPS receiver with A-GPS support. it has BlackBerry maps application and very good Organizer. Read More! HTC announced a revolutionary huge touchscreen phone, HTC HD2. this phone has 4.3 inch capacitive touchscreen and lot's of other new features. the first thing is HTC HD2 has almost every new features in HTC phones. it has a new interface called Sense UI and Pick-to-mute a call feature. and also this phone is like a small computer because it has a super fast 1GHz processor. HTC HD2 runs with Microsoft Windows Mobile 6.5 Professional OS and it has a 448MB RAM. the internal memory of this phone is 512Mb but it supports up to 16GB memory cards. HTC HD2 has 5mp main camera which supports 2592 x 1944 pixels maximum picture resolution. the camera comes with a LED flash and supports Geo-tagging feature. 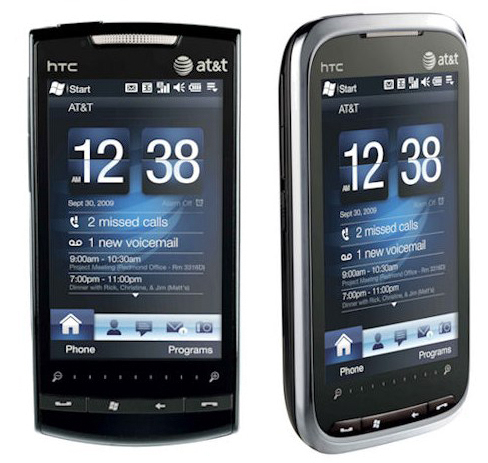 HTC HD2 has a digital compass like in iphone 3Gs. also it comes with lot's of built in applications like Youtube, Facebook and Twitter and Pocket Office. Samsung B7620 Giorgio Armani is another newest samsung phone. it has Nokia N97 design and tons of cool features. this phone has a very powerful 800MHz processor and runs with Microsoft Windows Mobile 6.1 Professional OS. 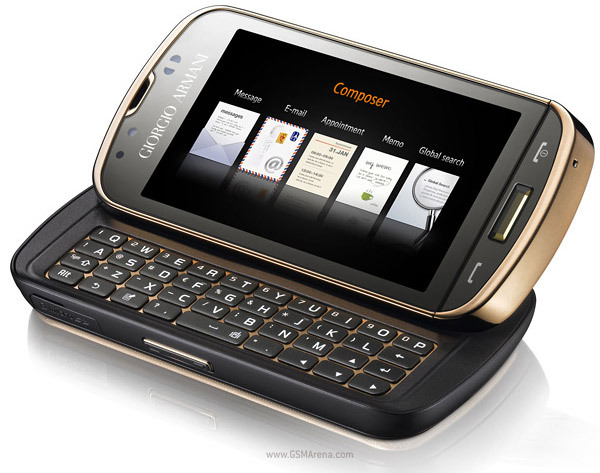 also Samsung Giorgio Armani is a full face touchscreen phone which has 3.5 inch AMOLED resistive touchscreen. Giorgio Armani has 8GB internal storage and supports up to 16GB memory cards. this phone has samsung's own sound technology called DNSe which gives very quality sound output. it supports both wifi and bluetooth. also Giorgio Armani allows 7.2 MBP/s HSDPA connectivity. the main camera of this phone is 5MP and it comes with a LED flash. also the camera application has lot's of features like Geo-tagging and face and smile detection. HTC Pure, purely a supper phone! HTC recently announced about this super phone, HTC pure. it has new design and combine features of all previous HTC phones. basically HTC pure is a full touchscreen phone which has 3.2 inch resistive touchscreen. multi touch feature is not available in this phone but it's cheap! like many HTC models, HTC pure has a touch sensitive zoom bar at the bottom. it also has an Accelerometer sensor and supports Handwriting recognition feature. this phone has 512MB internal memory and supports up to 32GB memory cards. HTC pure is a 3G HSDPA phone which supports 7.2 MBp/s speed. it also has both bluetooth and wi-fi. 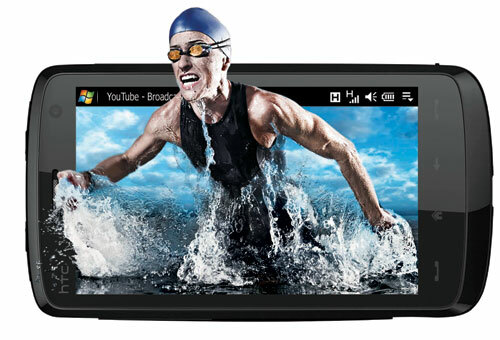 pure runs with Microsoft Windows Mobile 6.5 Professional OS. it has very powerful 522MHz processor and 256MB RAM. the main camera of this phone is 5MP which supports 15fps video recording. it has nice touch focus feature and gives very quality pictures. as other features HTC pure has a GPS receiver , pocket office and many more useful applications.